From the moment your baby arrives home, keeping him or her safe is no easy task! This becomes even more difficult with your child’s increasing mobility, when keeping several steps ahead is essential. Let us make your home safe in a matter of hours! Experts agree. 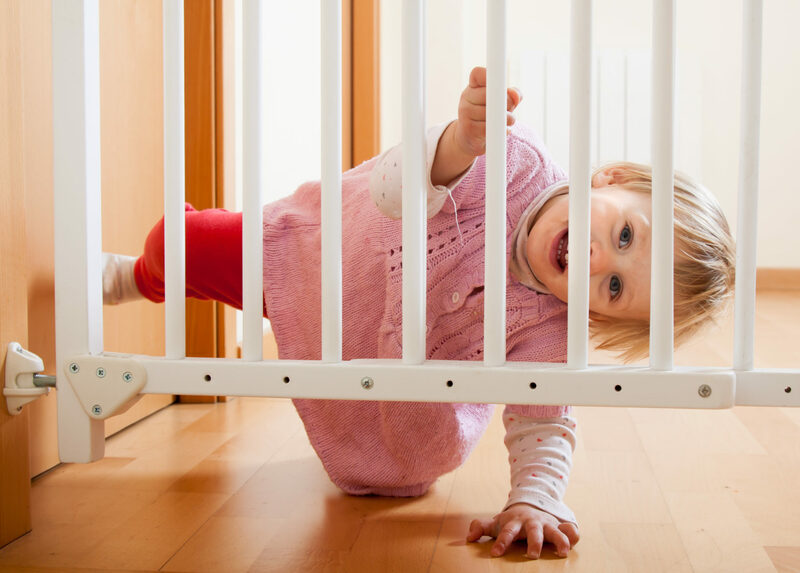 Childproofing your home gives your baby a safe place to play and explore, and helps prevent injuries. From the moment your baby arrives home, keeping her safe is no easy task! This becomes even more difficult with your child’s increasing mobility when keeping several steps ahead is essential. One of the best ways to help prevent injuries to your baby is to childproof your home. You can do it by inspecting your home room by room, identifying hazards and then purchasing and installing products yourself. If your time is limited, and you lack the tools or expertise, hiring a professional childproofing service may be the perfect solution for you. According to the National Safe Kids Campaign, unintentional injury is the number one killer of America’s children, taking more lives than disease, violence and suicide. Many of these injuries such as choking, drowning, falls, poisonings and burns occur at home. Research shows that more than 4.5 million children are injured in their homes every year. A few easy steps–such as securing cabinets containing household cleaning materials, installing carbon monoxide detectors and blocking stairways with baby gates–can greatly reduce the risk of injury in your home. The time to childproof your home is before your child needs it . . .
A professional babyproofing service can often identify areas of your home that you may have overlooked and then recommend and install the best quality products for your needs. This often involves providing solutions for challenging installations such as installing safety gates and cabinet latches in locations you may have thought were impossible. We also provide many valuable tips to keep you one step ahead and make your home a safe haven for baby. Since we’ve already done the product research, testing and evaluation you don’t have to! We’ll save you the time you’d spend searching for the right products, and unnecessary spending on items that are unsuitable, don’t work or that are not top quality, not to mention the time you’d devote to getting the job done. We have the tools, time and expertise to assess your needs and properly install the best safety devices in your home, and to make your home safe in a matter of hours. Many years of babyproofing experience allows us to get the job done quickly and efficiently.